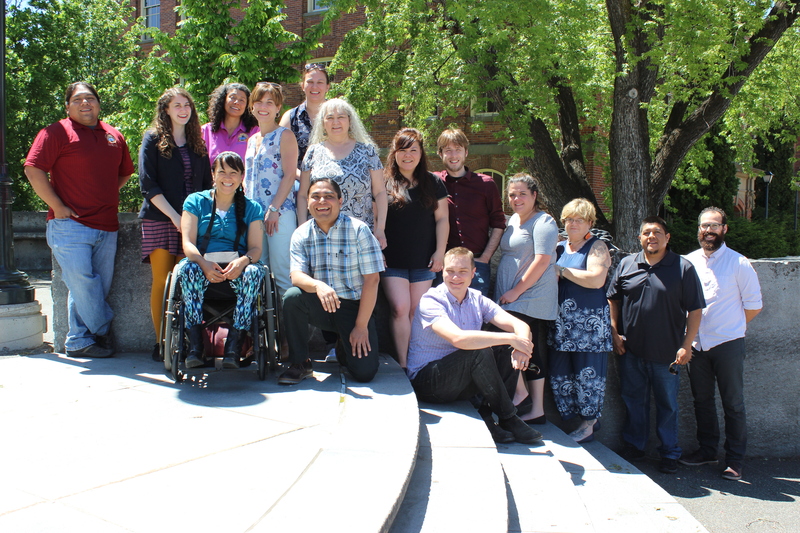 The Tribal Digital Stewardship Cohort Program is a twelve-month program for tribal archivists, librarians, and museum professionals. Using a cohort model and both face-to-face and online training, the program provides the skills necessary for managing and caring for cultural materials emphasizing local tribal needs and values. The program promotes skills in the entire digital stewardship lifecycle–from the care of physical objects, to digitization skills, to access and use decisions and policy creation with a focus on collaborative curation. 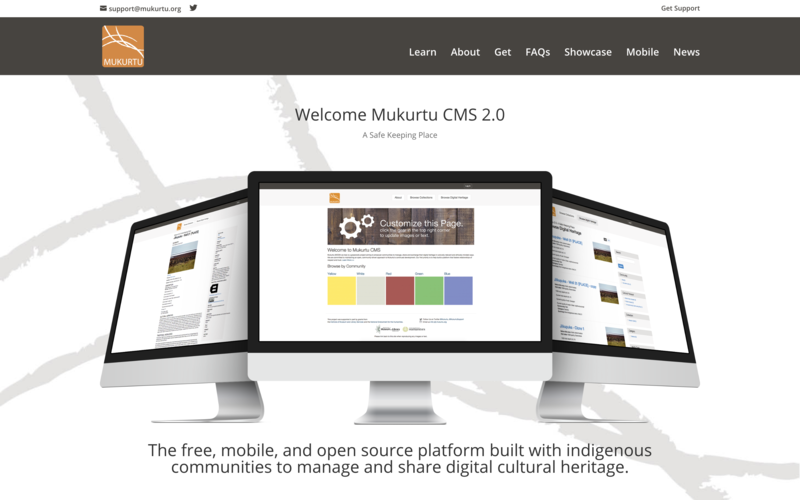 Mukurtu CMS is a free and open-source community digital access platform and content management system developed and managed at Washington State University. Mukurtu provides new opportunities to engage with the challenges and possibilities for digital collections management, sharing, and curation at multiple scales. The Sustainable Heritage Network (SHN) provides hands on and virtual training in the digital lifecycle of cultural materials. 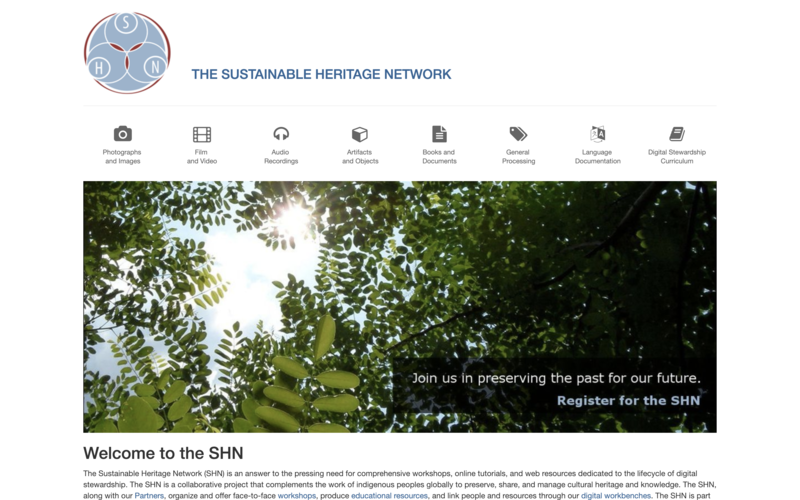 Aimed specifically at the needs of tribal archivists, librarians, and museum specialists, the SHN makes information and educational resources accessible for the preservation of digital cultural heritage and traditional knowledge. The Portal is a collaboratively curated and reciprocally managed archive of Plateau cultural materials. 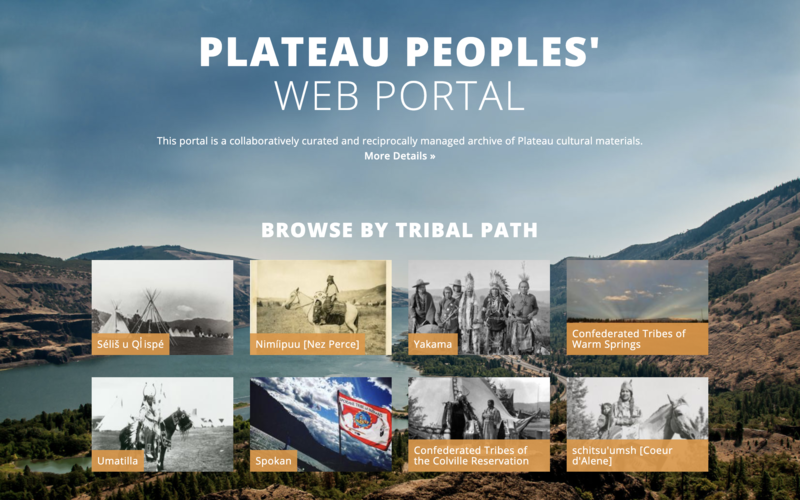 Built using Mukurtu CMS, the Portal is a collaboration between Washington State University and the Spokane Tribe of Indians, the Confederated Tribes of the Colville Reservation, the Confederated Tribes of the Umatilla Indian Reservation, the Coeur d’Alene Tribe of Indians, the Confederated Tribes of Warm Springs, the Nez Perce Tribe, and the Confederated Bands and Tribes of the Yakama Nation.